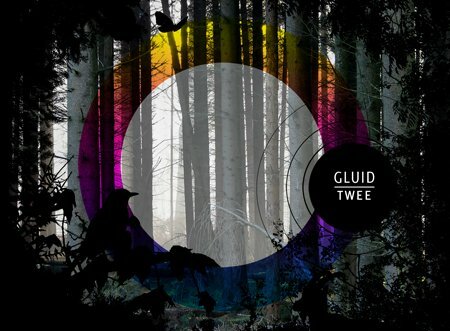 Gluid – Twee | Esc.rec. Mid 2007 the project ‘Binnensuis’ was released by esc.rec. in a limited edition. This was a half-hour soundtrack for a performance in which the symbiosis of monologue, dance, theatre and music made sure that you were irresistibly drawn into the wonderful but insane world of the main character. Many theatre soundtrack commissions followed. From 2007 to early 2010, Bram van den Oever almost continuously worked on (live) soundtracks for theatre plays and dance performances. Intensive processes in which music primarily serves to complete the greater picture. In this period he also shined with a Gluid composition for the Herfsttonen festival in Okkenbroek, released by esc.rec. as well. The little time he had left in between jobs, he spent on sketching and finishing most songs for this album. In comparison to his debut, ‘Twee’ is probably a bit less introvert, although entering the world of Gluid continues to be an immersive experience. Which is a good thing. Compositions have grown even richer in texture and sound. The production methods have also changed somewhat. Where he once restricted himself by only working with field recordings as a source material, he is now free of these restrictions and has introduced actual instruments into his music. Field recordings still play a major role in his compositions though. One restriction remains and that is the equipment. This album was almost entirely made on the nearly fossilized AKAI S2000 sampler and ATARI 1040 ST computer. Amazing. With his debut and other projects, Gluid has raised expectations high. Expectations he gracefully fulfilled in this new gem. Enjoy.